Senior Conservatives have abandoned their promise to publish Prime Minister David Cameron’s personal tax returns despite initially pledging to do so. Tax policy is among the party’s “key” election issues. The Prime Minister and Chancellor George Osborne claimed they were willing to prove politicians are paying the right tax. Cameron and other party figures have faced mounting pressure to reveal whether they benefited from a decision in the 2013 budget to reduce the top rate of tax from 50p to 45p. When speaking at an event in Ipswich on Monday, Cameron, who earns £142,500 a year, said he is paid “handsomely” as Prime Minister. He confirmed over the weekend there are “no plans” for the tax returns revelation to go ahead. “You see it as a feature of some American campaigns but I think there would be quite a lot of practical difficulties. The income I receive is publicly declared,” he said. “There are genuine issues around taxpayer confidentiality and how it would work in practice,” Osborne added. Both the Liberal Democrats and the Labour Party said in 2012 they would not oppose publishing tax details. Cameron’s “key” election priorities are already facing scrutiny, after the PM decided to exclude immigration from his top 2015 policy aims. Critics believe both Cameron and Osborne should have stuck to their word, claiming their “dishonesty” will not benefit them in the run up to the election. “Those in the highest offices” should remain loyal to their word, he added. He insisted there are “no secrets” about his status and claims his revenue from working as Prime Minister is his main source of income. “I have a house I used to live in before I moved into Downing Street and I rent that out and I get income from that,” he conceded. 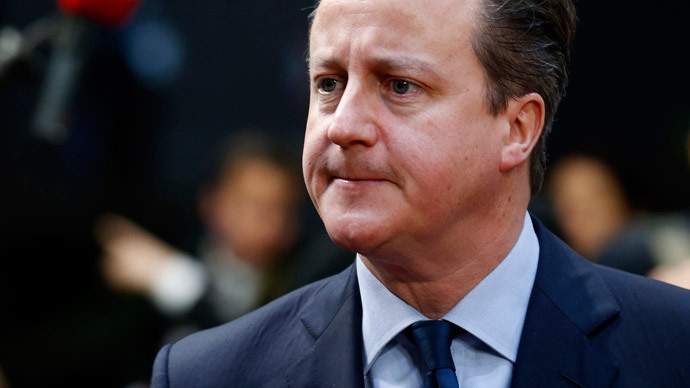 The Prime Minister insists there will be “no surprises” in terms of his tax affairs.